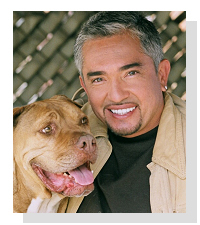 The star of the popular show “Dog Whisperer with Cesar Millan” will work his magic at a Jan. 28 show at the National Stadium in San José. Tickets will be available online at www.laboleteria.co.cr starting Dec. 1, and will cost ₡8,000-₡35,000 ($16-$70). For more information on Millan, visit his official website at www.cesarsway.com. JetBlue Airway announced four weekly non-stop flights to Liberia, in Costa Rica’s rich Guanacaste region, from its home base at New York’s JFK Airport. To celebrate, the airline is also offering an inaugural fare of only US$119 if booked by December 1, 2011 for travel through February 15, 2012. The first flight was yesterday, Thursday, November 17. Liberia, on Costa Rica’s Pacific Coast, will be the airline’s second destination in the country. 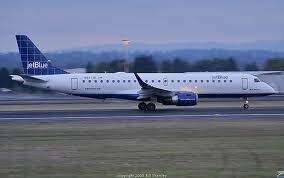 JetBlue has served Juan Santamaria International Airport in the capital, San Jose, with nonstop service from Orlando, since 2009. Named after the national tree of Costa Rica, Guanacaste is one of the country’s most popular vacation and ecotourism destinations thanks to nearly a dozen well-known biological reserves, national parks and wildlife refuges. Known as a haven for nature lovers and outdoor adventurers alike, stunning Pacific coastlines are plentiful in this northwestern province, as are the seemingly endless hours of summer sunlight. “JetBlue’s inaugural flight to Liberia is certainly a momentous occasion for Costa Rica, as travelers will now have unprecedented access to the country’s Northwest region, home to a bounty of attractions that satisfy travelers’ every need. We look forward to welcoming JetBlue passengers into our country, where they can experience first-hand our rich culture, commitment to sustainability and the happiness that is unique to our country,” commented Costa Rica Minister of Tourism Allan Flores.